Are you one of those people who are always freezing during cold days and no normal solutions will be suitable for you? if your answer is positive this article is definitely for you. There is no need to get a heating system and pay for extra bills, all you need is to think outside the box. Technology, in this modern world, is highly integrated into every aspect of life to make our life easier; technology is your way out to get the best solution for your issue of getting freezing during fall and winter. 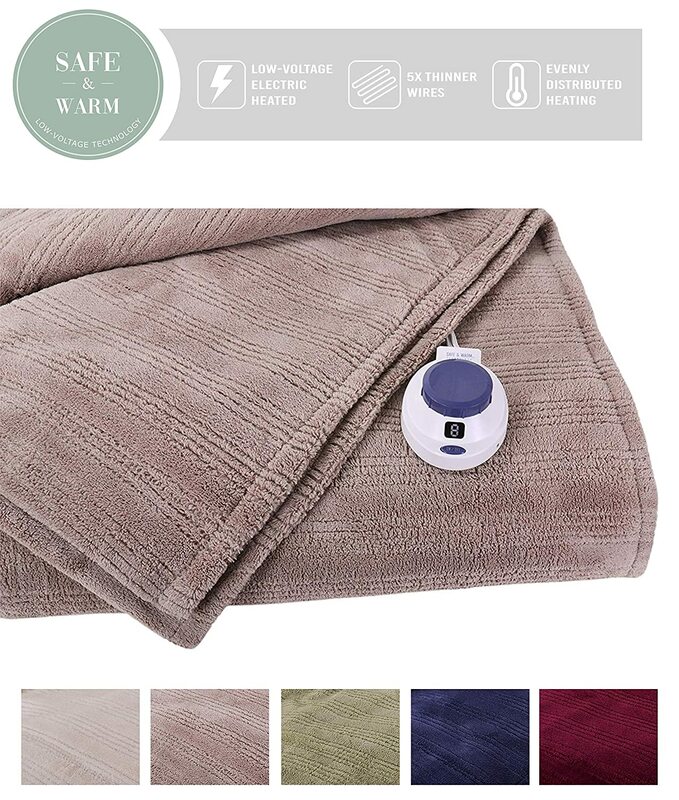 You may think that this technology means more money to pay than usual but you will be amazed how you can get a warm feel with an electrically heated throw blanket and save more in electricity bills. Heated throw blankets are your best friend during cold days and you need to consider yours now before the weather gets colder. 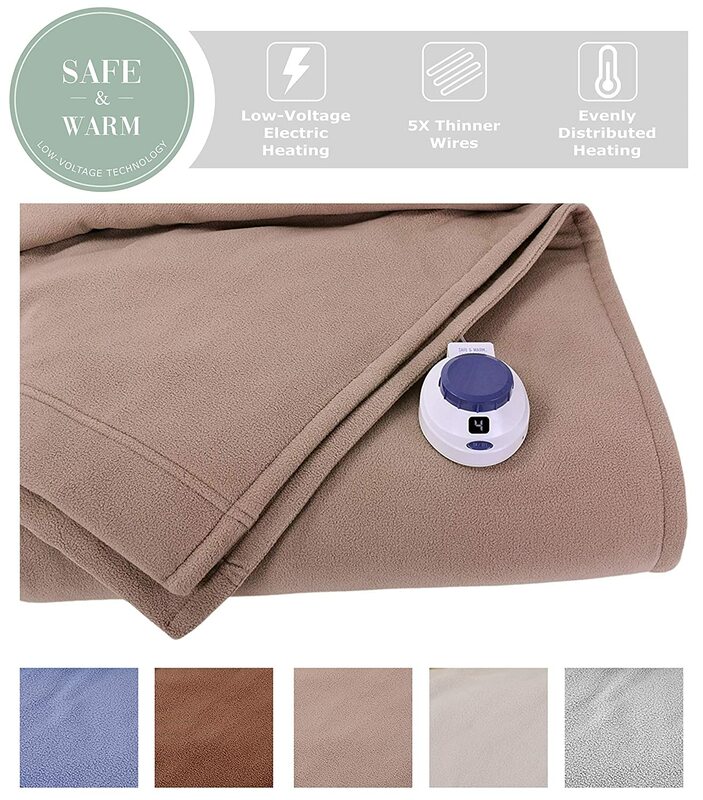 You will feel warm and get you own heating elements everywhere and every day; these cute heated threw blankets are widely available out there easy to cuddle yourself with while having a cozy seat on your couch or you can comfortably have a nice sleeping on the bed. They are also easy to store when moving to another place you can easily get them with you. So what you can get and how is the next part of this article to help you consider your favorite pick. 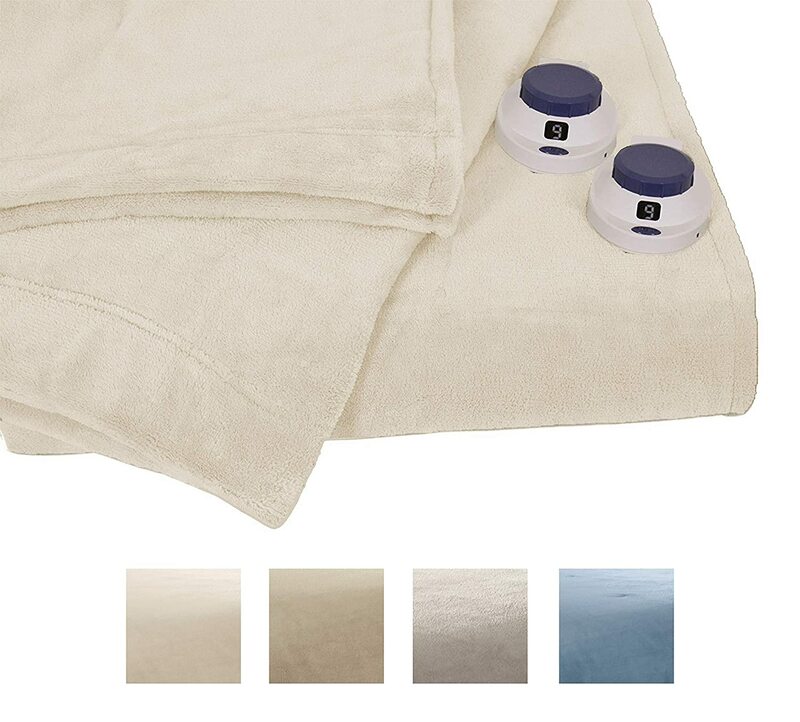 Let’s check out these top-rated heated throw blankets available on Amazon to satisfy every need, taste and even decor. 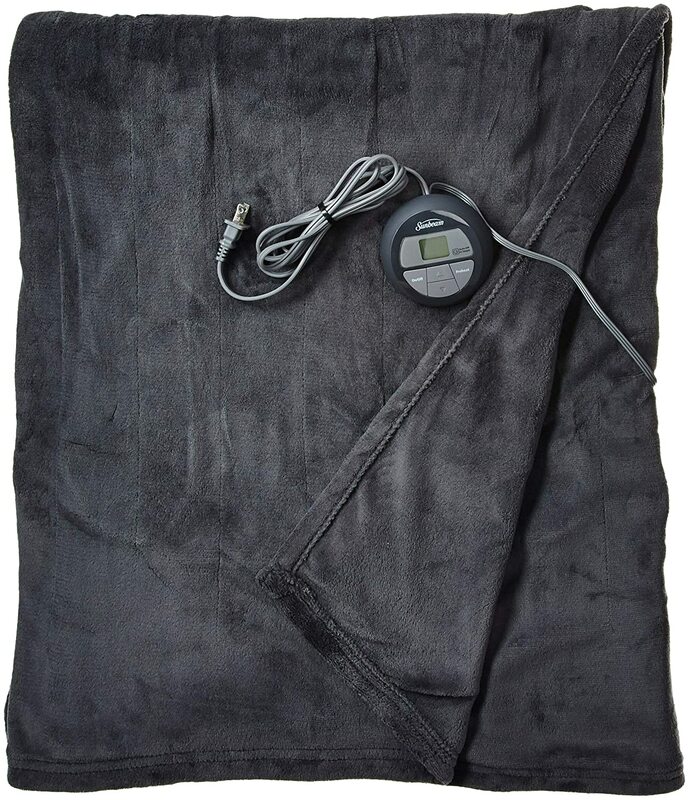 SoftHeat Luxury Fleece Electric Heated Blanket By Perfect Fit is a perfect reward you can give yourself after a long hard day when you need to feel warm, relax and cozily satisfied. 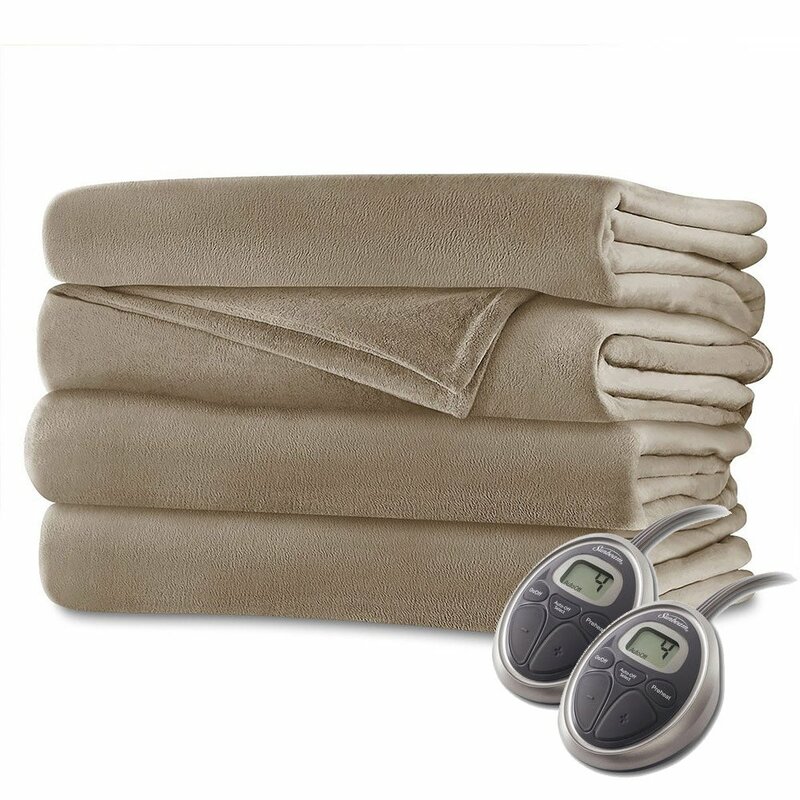 When it comes to electric heating throw blanket you always need to know its features and how it will meet your requirements. 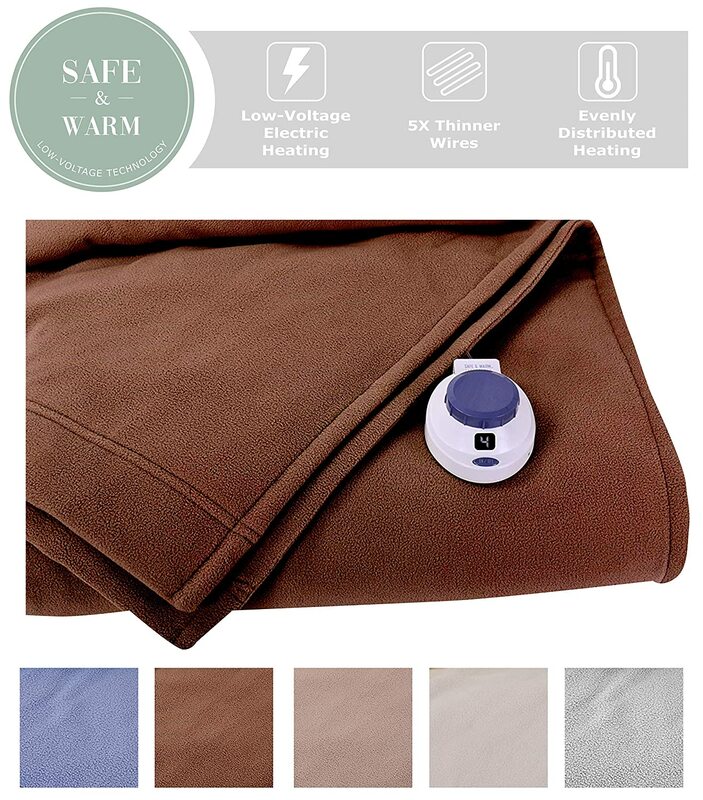 This pick will help you to enjoy a warm sleeping even before going bed or warming your space before sitting there; by its pre-heating setting, you will be able to control when this throw blanket heating begins. In addition, there is no worry if you once forget to turn it off as it has an auto-off setting after 10 hours. 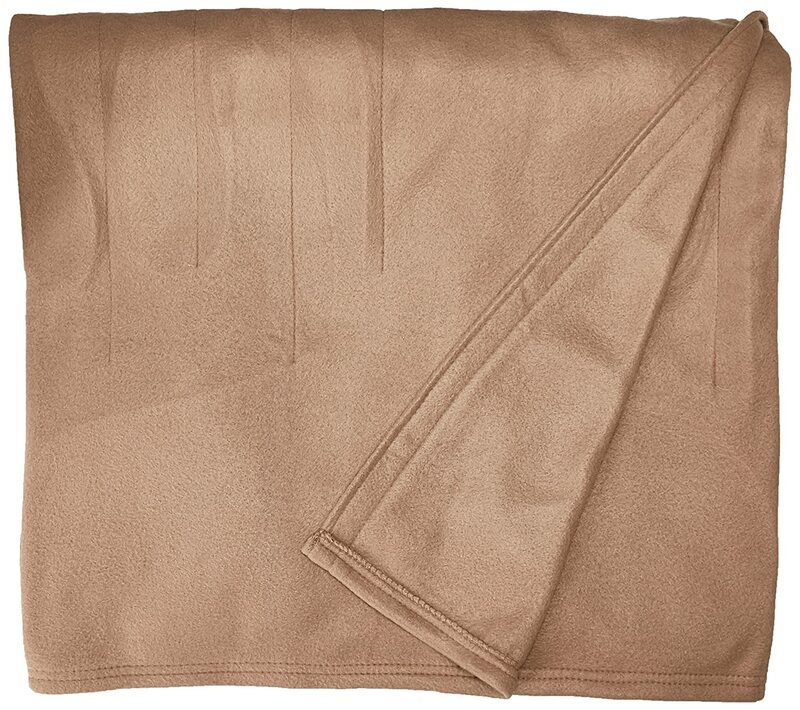 The fact that this lovely SoftHeat Pick is designed of luxurious ultra-soft micro-fleece with built-in micro-thin wires make it more warm and soft for your body along with luxurious look and feel. With micro-thin wires, it will never touch your body and you will never feel that is even there. Low voltage means no extra bills to pay so it is a lovely addition worth the price. 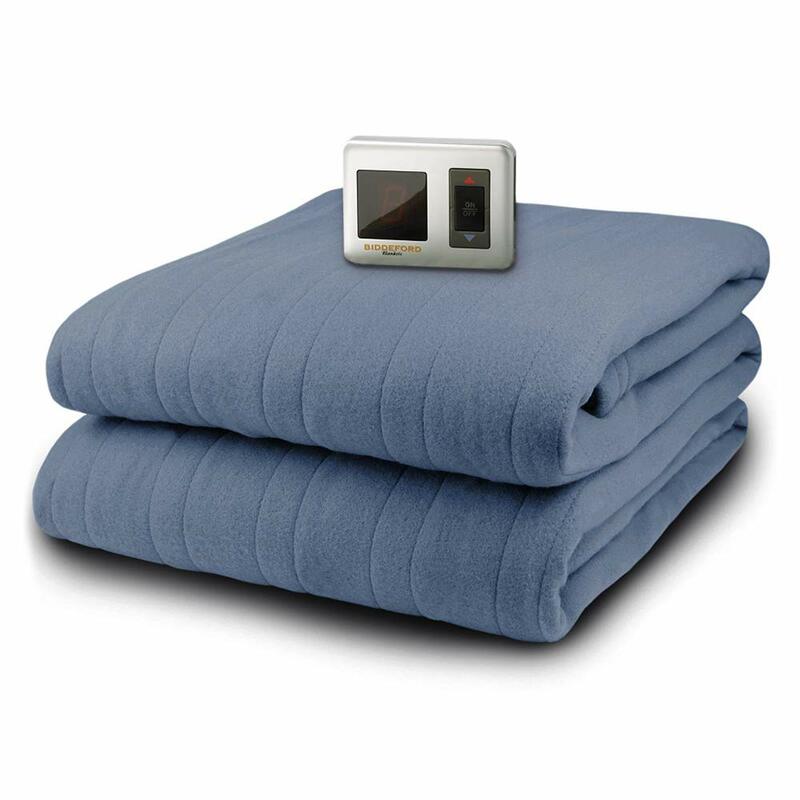 SoftHeat heated blanket By Perfect Fit comes in throw-size, twin, queen, and king as well in neutral, grey, blue colors and more to enhance every decor and aesthetic taste. 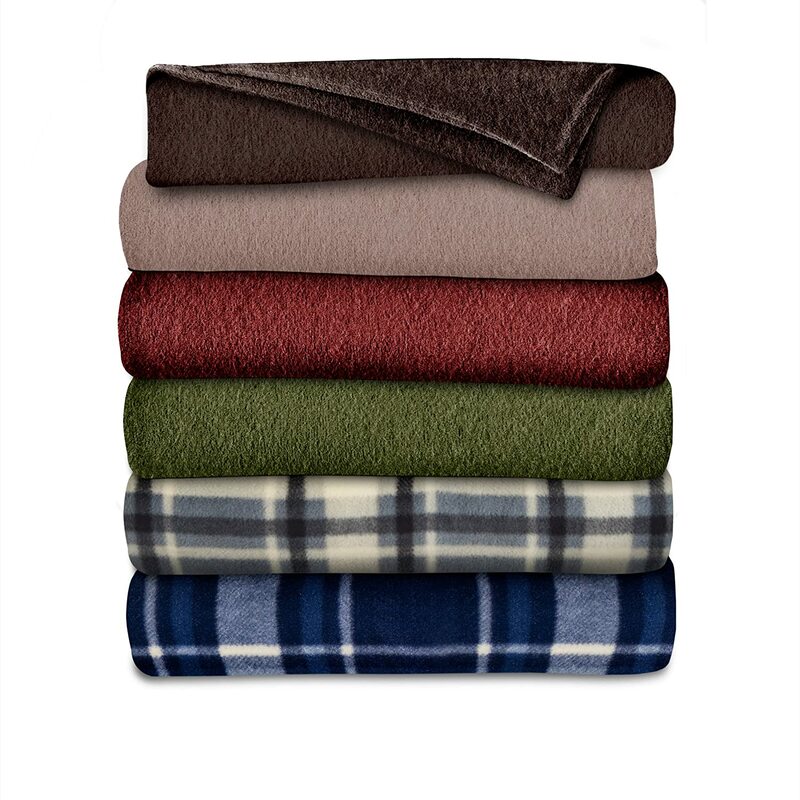 Sunbeam Quilted Fleece Heated Throw Blanket is another top-rated pick for quality, warmth, coziness, and convenience. 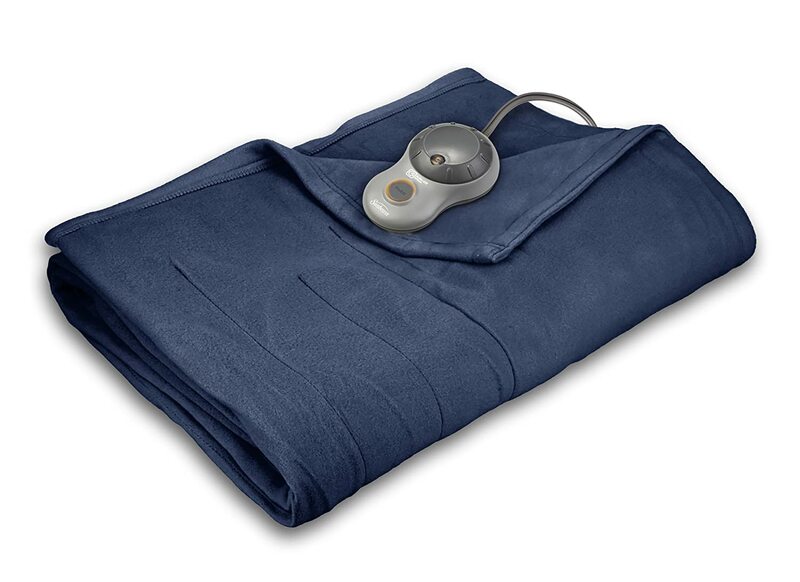 Sunbeam is always the brand you go for when searching for premium picks; this pick of fleece heated throw blanket offers you a great softness to snuggle it features also adjustable heating setting up to 10 thanks to the EasySet Pro Controller that comes with. In addition, it is made of 100-percent polyester and fleece fabric which ensures a great warmth along with a peaceful atmosphere. It is equipped with an exclusive wiring system adjustable throughout the blanket you will not sense that it ever exists. 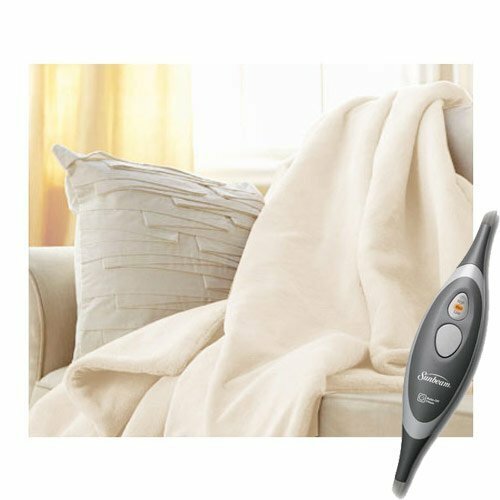 For more safety, this quilted fleece heated throw from Sunbeam is equipped also with the auto-off setting to be shut off after 10 hours, in case, you forget to do so. You will never also worry about the cleaning process, it is machine washable in warm water and dryer safe which means it is really easy to clean. it is easy also to function after reading the manual instructions. When it comes to decorative purposes, it comes in different colors including blue and cream within many sizes to suit every need from the throw, twin, and queen to king bed sizes as well. Durable, but not for a lifetime use, for many years at least. 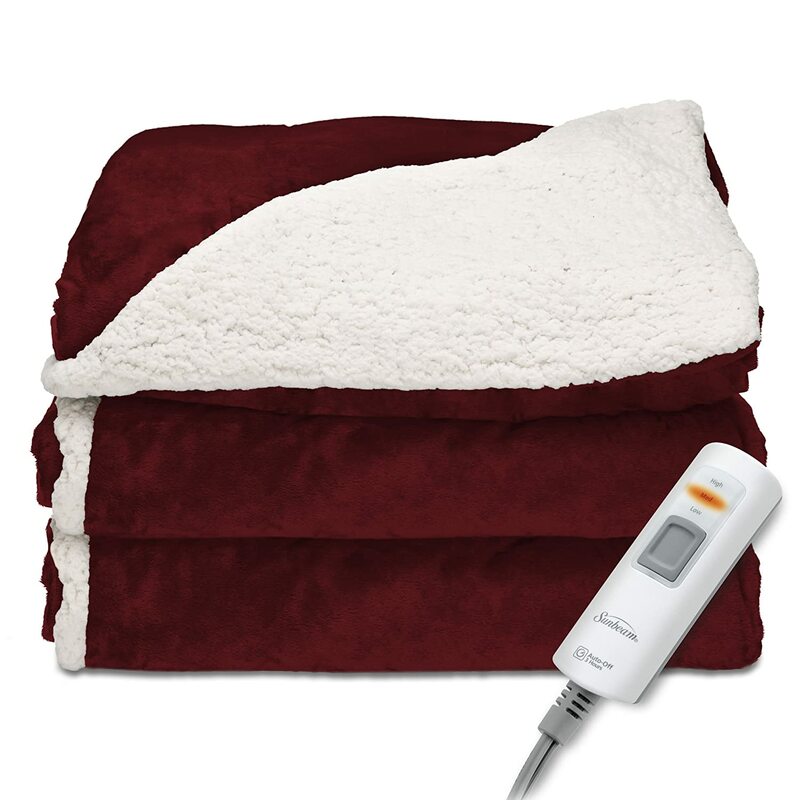 Sunbeam Microplush Heated Blanket is another premium pick of this top brand which promises you with extra comfort and extreme warmth as well. this pick is made of 100 percent extra soft polyester and microplush fabric and it is like the above is equipped with 10 heating settings and auto-off setting to be shut off after 10 hours, once, you forget to shut it off. But it has an extra plus advantage that it come with a dual controller to control each side heat level ensuring you the best comfortable warm experience and sleeping nights during the coldest days ever. 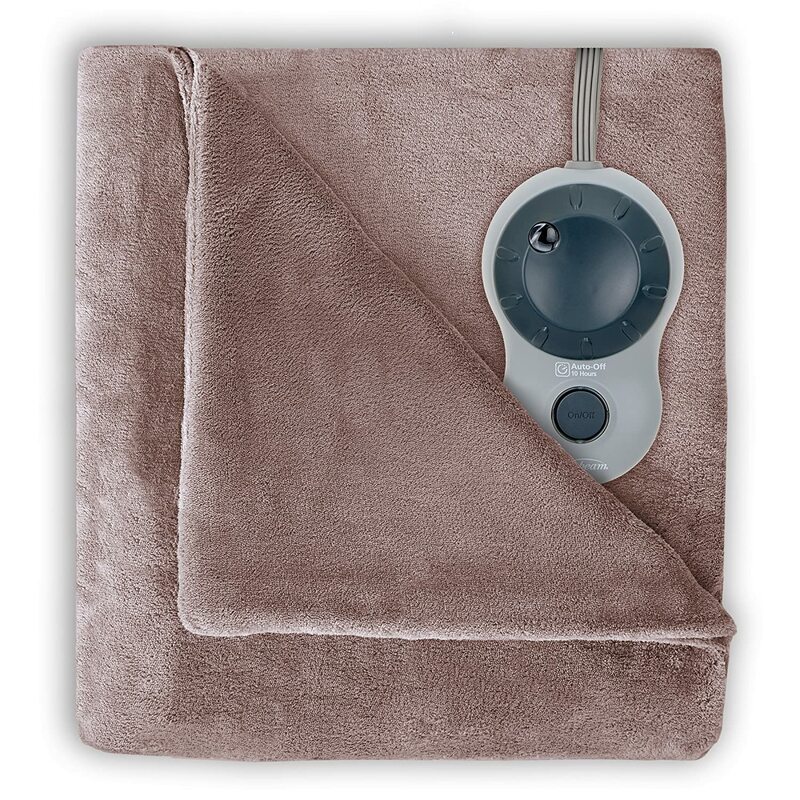 This cute heating throw blanket from Sunbeam features also LCD display with backlight, adjustable dimmer, channeled construction with hem finish, and also a pre-heat control. Easy to clean; all you need is to get it right into your washing machine with warm water and it is also dryer safe. You can find this pick available in different adorable colors including Slate, Garnet Red, and Mushroom in a variety of size as well to satisfy every client needs and requirements. 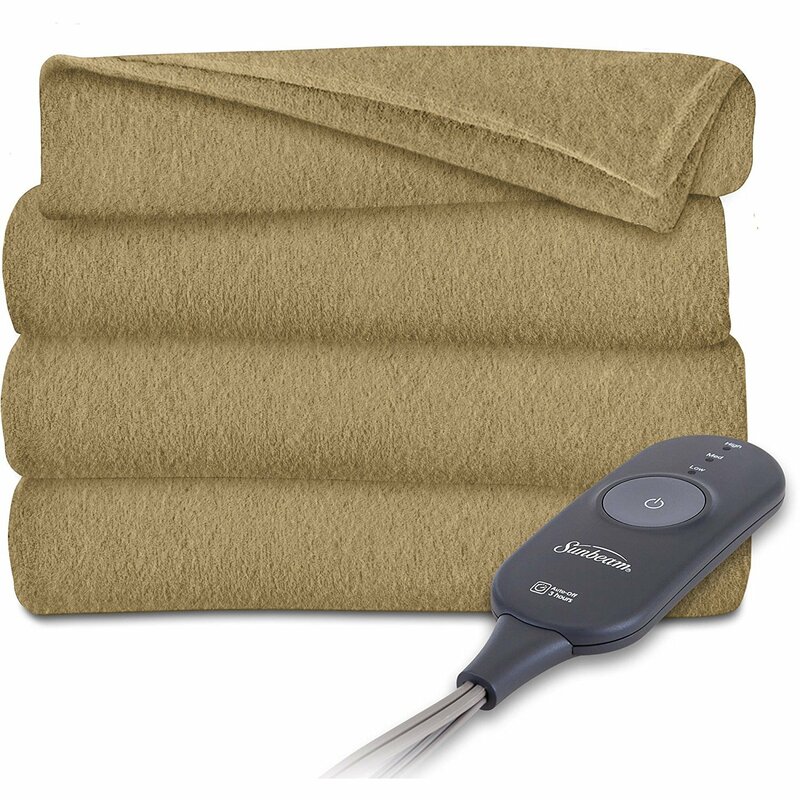 Velvet Plush Heated Throw Blanket from Sunbeam is a lighter in weight than any other products, soft and cozy throw that you can ever imagine. It is designed with velvet Plush in 100% polyester fleece which ensures the maximum softness and smooth feel. 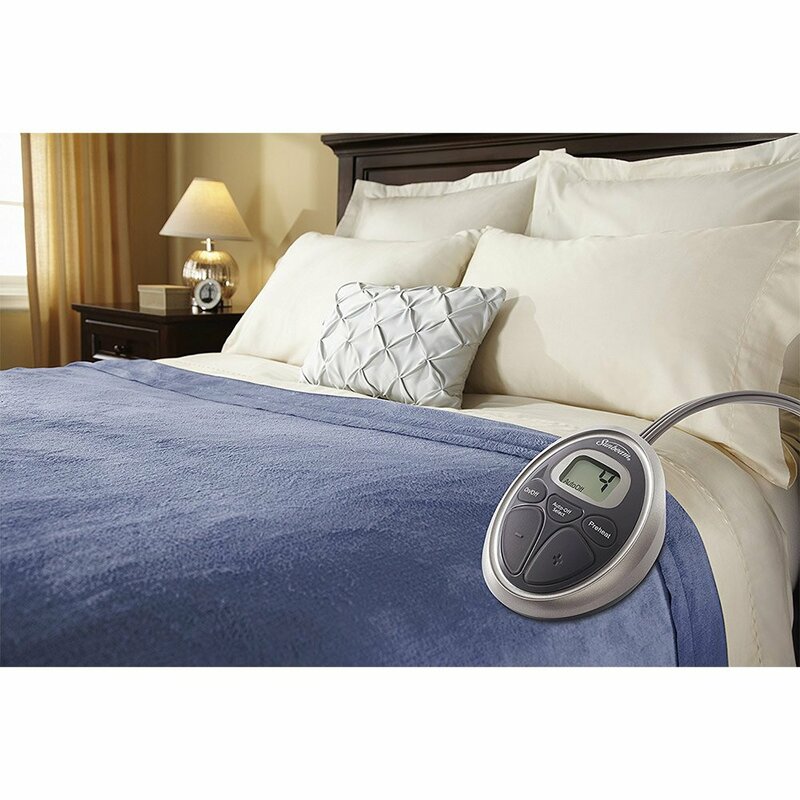 This pick is characterized with 10 different heat settings, optional 10-hour auto shut-off function for extra safety, a pre-heating programmable option, an exclusive wiring system that senses and adjusts heats for the entire blanket. In addition, even it has 10 heating system, but, you will never raise the warm degree other than the first ones as it highly warm as you might need. It is the best pick for couples which has a dual controller to adjust the heat separately for both sides. It comes in numerous colors like a lagoon, garnet, mushroom, slate, walnut, and olive and although this one is really large, it is available also in some other sizes like twin, queen and king sizes to enjoy rewarding yourself with extra comfort and warmth. It is safe to clean into the washing machine and also dryer safe with a 5-year warranty even you will be absolutely satisfied with this product. Sunbeam Luxurious Velvet Plush with 2 Digital Controllers and Auto-off Feature is an ideal pick for a more luxurious feel, comfort, and nonnegotiable richness. It is a higher-end product that offers more for the price with its rich luxurious velvet feel, 20 personalized heat levels setting, hemmed finish, Thermofine warming system which enables you to adjust and control the heat throughout the blanket to enjoy tight sleeping nights and adorably cozy moments with your family watching your favorite show during cold days. What else this rich and soft throw could offer! It is your best solution to reduce energy bills when setting this Sunbeam velvety soft plush blanket in 100 percent polyester thermostats about 10-15 percent down during 8 hours of sleeping or a cozy seating experience. Moreover, it is easy to operate with dual digital controls, optional auto-off and Pre-heat programmable setting along with easy care with a fully machine washable option and dryer safe as well. For more elegance along with the velvet plush smooth and richness, it comes in more than 10 different colors to satisfy every taste and decor including mushroom beige, sea blue, grey, and dark red. You can feel satisfied and have a peace of mind with this pick for its quality and durability but also for its 5-year warranty provided.